Our crowdfunding campaign has ended, but you can still support UCLA Rugby by clicking here. Since 1934, UCLA Rugby has been one of the most recognized and successful collegiate rugby programs in the United States. With 3 National Championships and countless Southern California Titles, plus international victories over some of the rugby world’s finest Collegiate programs, the UCLA Men's Rugby team is a testament of what hard work, courage, and resilience can accomplish. In addition to those team accomplishments, UCLA has produced 14 USA Eagles, countless All-Americans and the first ever USA Coach, Dennis Storer. Our international lineage continues today as current Head Coach Scott Stewart is a former Canadian International with 5 total World Cup appearances and Assistant Coach Peter Sio played for USA 7’s National team. 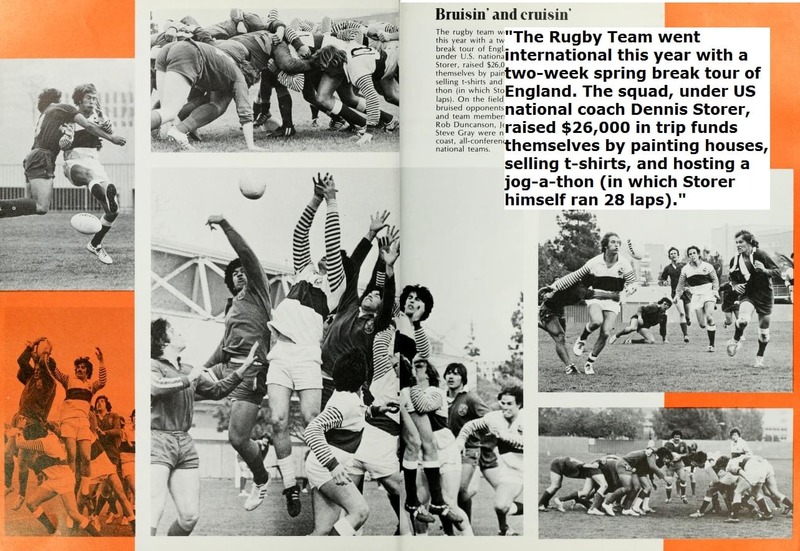 The Bruins have consistently made appearances in National Championship Tournaments in both XV’s and 7‘s Rugby. Most recently the Bruins were 1/4 Finalists in the Varsity Cup XV’s National Championship and have achieved a final, two semi-finals and a 1/4 final finish in the Collegiate Rugby 7‘s Championships. Over the years, as the Bruin Rugby program has risen in rankings and visibility, the team has grown to over 70 players and competes against our traditional rivals from the PAC Conference including California, Arizona, Arizona State, Utah and USC. While the majority of the players in our current squad were born in the USA, there continues to be tremendous interest in our program from abroad and we are now getting a look at some of the finest Academy players from Europe, Asia, South Africa, Australia and New Zealand. This blend of domestic and international talent truly reflects the diversity of the general student population at UCLA and has helped UCLA Rugby continue to be one of the best programs in Collegiate Rugby. Throughout our history, our success on the field has been enhanced and matched by our success off the field as our program continues to graduate young men of the highest character. These players work hard in the classroom, on the training field and through their own pursuit of excellence, will graduate with the tools required to become leaders in their own communities. Unlike Varsity Sports at UCLA, the Men's Rugby team does not receive institutional funding and is responsible for raising each dollar we spend during our annual season. Player dues, summer camps, ticket sales, merchandise sales and donations from alumni, family, friends, and fans continue to be the primary source of funding for all of our team costs. The players and staff involved with our current program are very grateful for all of the support and contributions to our program throughout our history. With your help, the Bruins can continue our tradition of excellence at UCLA as both players and as successful people in our communities going forward. We invite you to show your support the program by making a donation to our program today. Your contributions will help us to fund our 2017-2018 season including our travel, tournament fees, apparel, equipment, coaching, and so much more. Gifts from donors directly affect our results on the field. We are grateful for all donors to our program, but want to send a HUGE thank you to David and Maureen Barry, parents of Niall and Cian, for kicking us off with AN INCREDIBLE lead gift. We are humbled by your gift, your commitment to our team, and your confidence in our program. Thank you! Now, let's bring a national title to Westwood!!!! We are grateful for your gift, and hope to meet you at a game this season! If you donate $50, you and/or your business will get a shoutout on the official UCLA Rugby Facebook page.